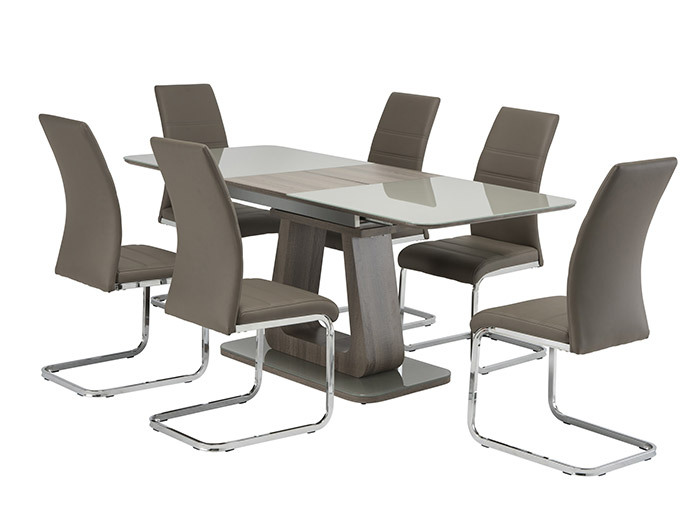 A stunning dining set in grey glass with grey oak inset and base. The plinth base is finished in grey glass with grey oak edging. The extension leaf is operated using the latest pull handle technology for simple, easy to use opening/closing. 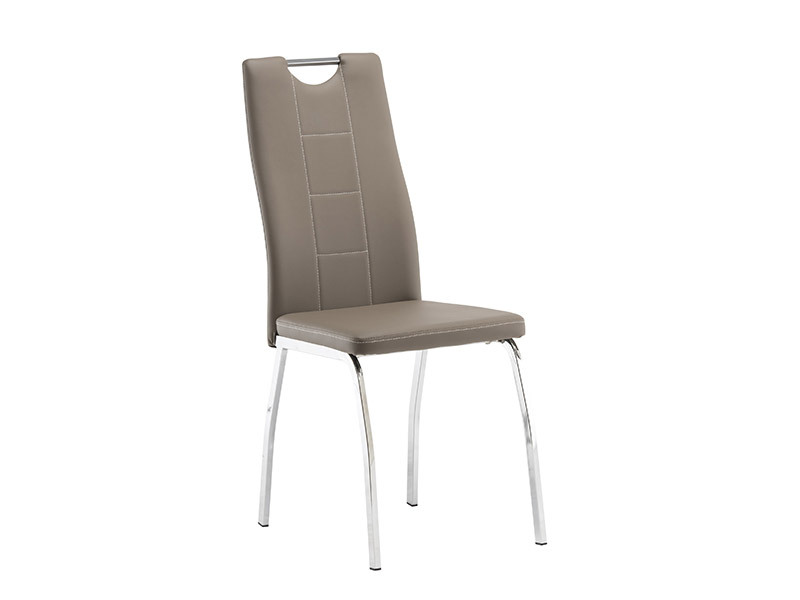 Modern dining chair with beautiful stitch pattern design, in a range of colours.